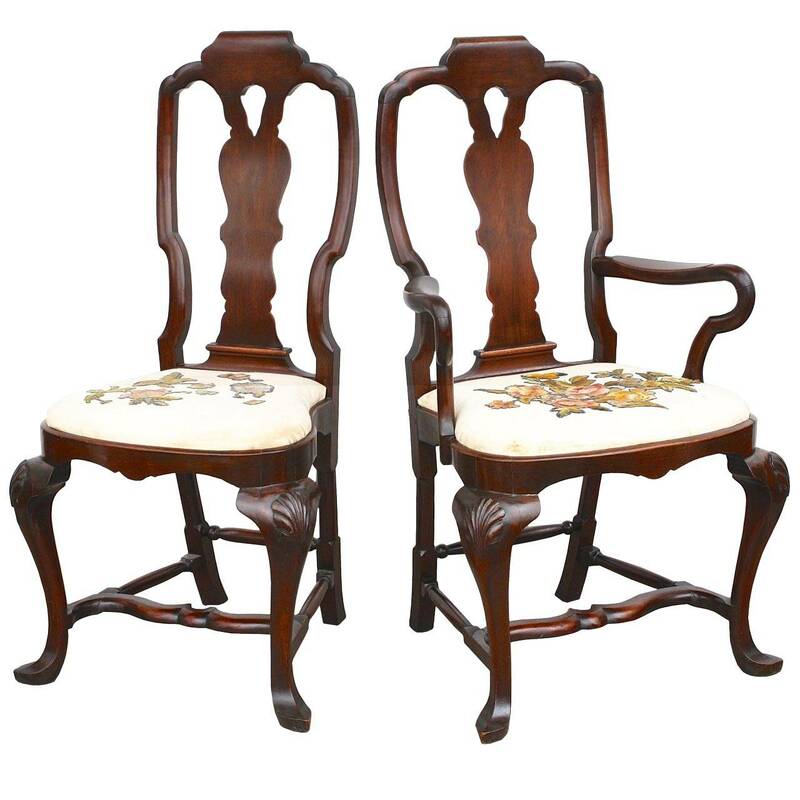 Circa 1875 Virginia bench-made walnut matched set of two armchairs and 12 side chairs; with shell carved knees, slippered front feet, wavy back splats, and distinctive flat serpentine cross-stretchers. 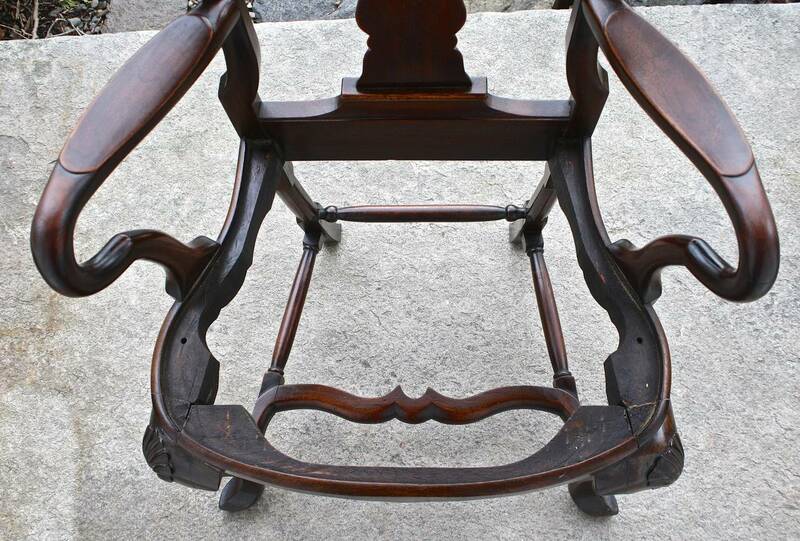 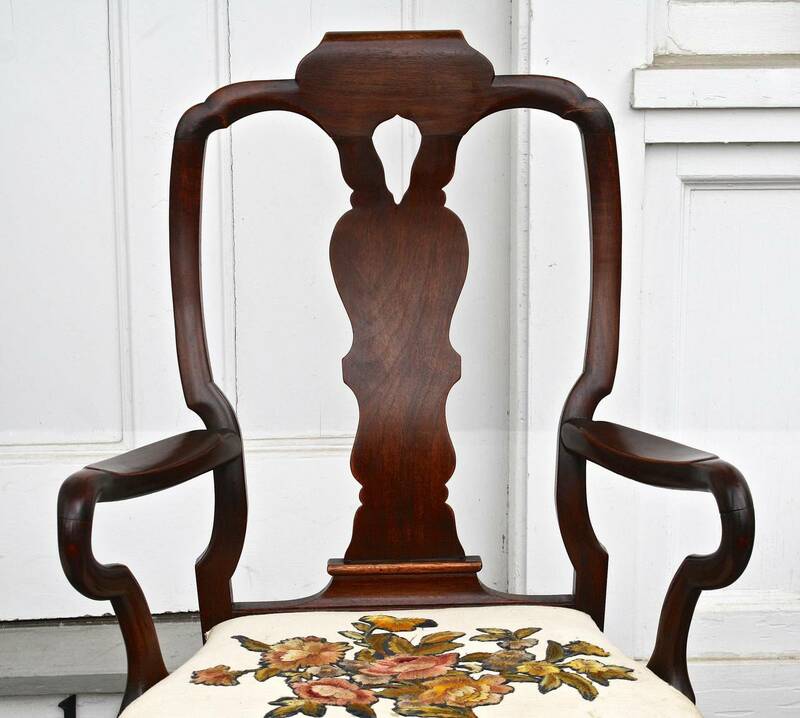 Queen Anne manner American Centennial chairs commissioned by a prominent Lynchburg, Virginia family with business interests and homes also in the north. 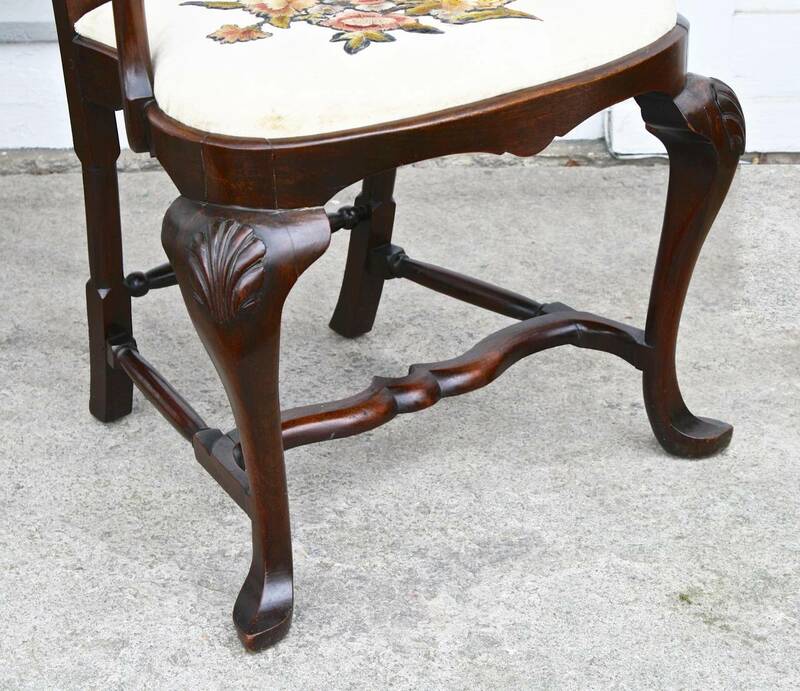 Details available to purchaser, if desired. 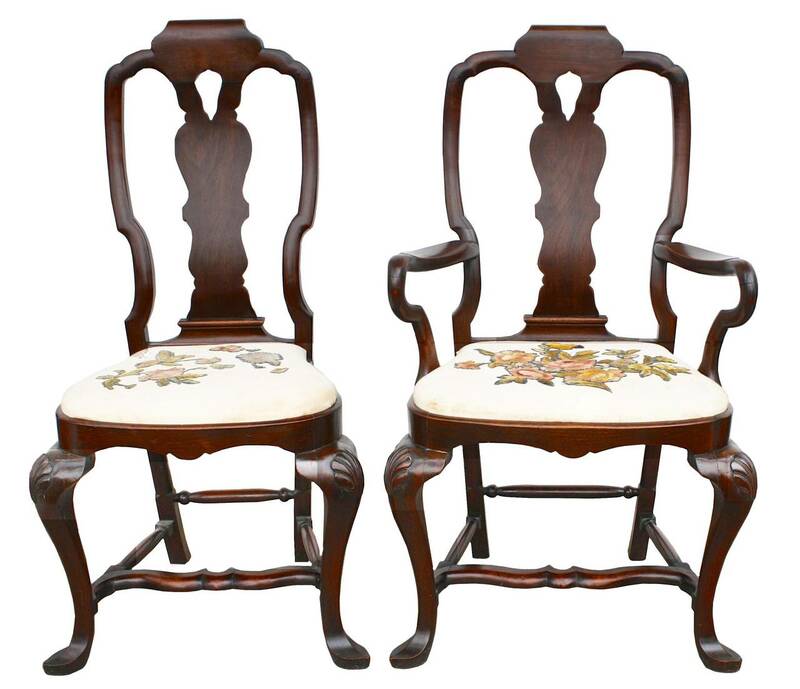 The drop-in balloon slip seats are covered in presumably original hand-stitched non-identical floral crewelwork. 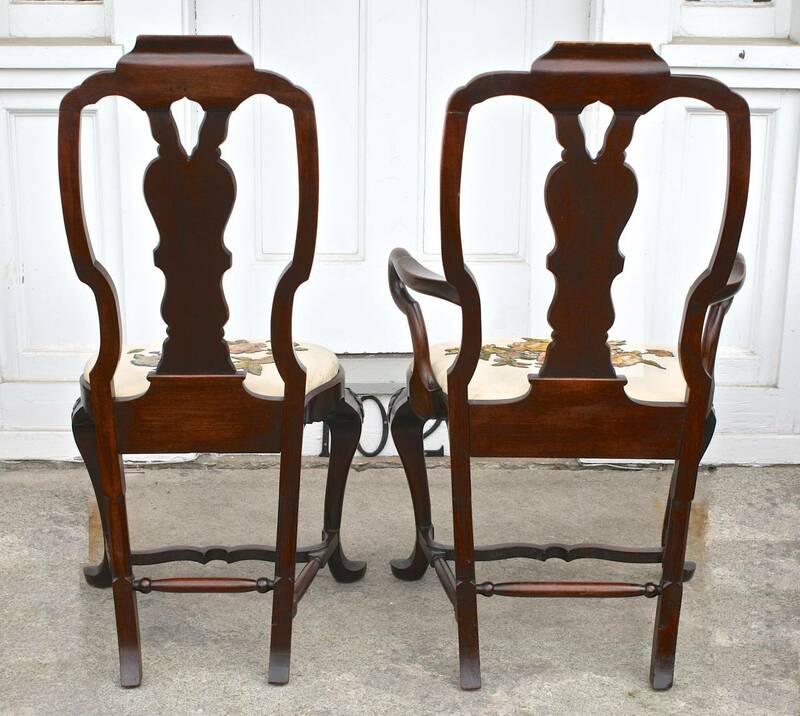 The two armchairs are of the same back height and seat height, but 2" wider and 1" deeper than the 12 side chairs. 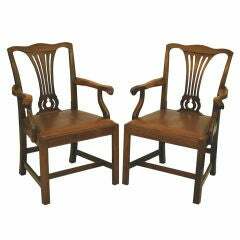 Sturdy, structurally sound walnut chair frames in original patinated finish. 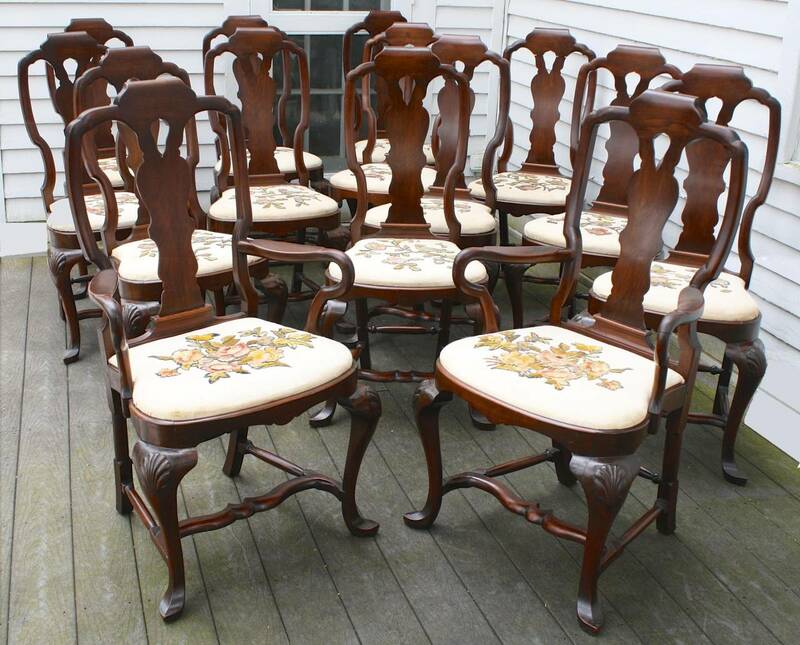 The hand-stitched crewel needlework seats have expectedly soiled solid off-white background cloth that may withstand skilled spot-cleaning; if desired. 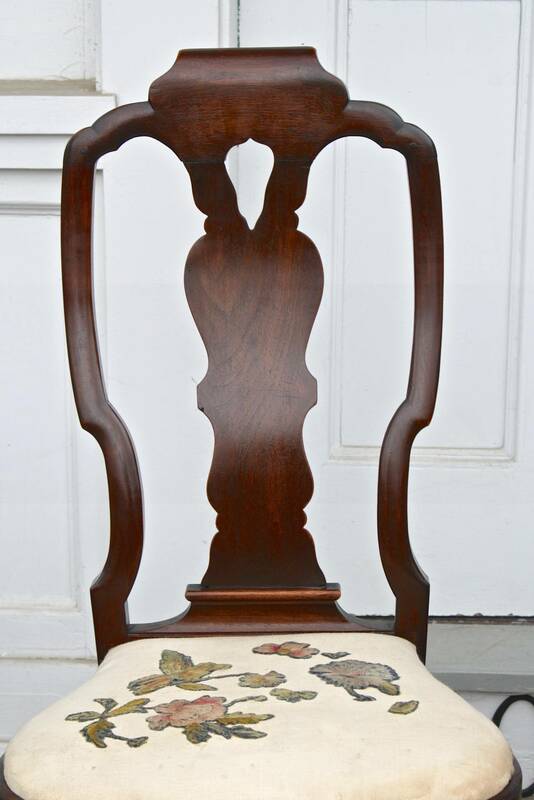 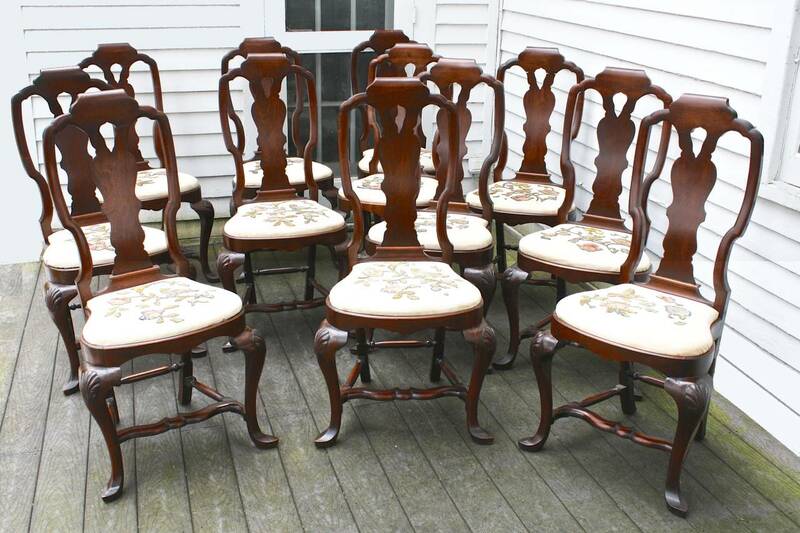 Set of six Queen Anne mahogany dining chairs with carved scallop shell detail at top. 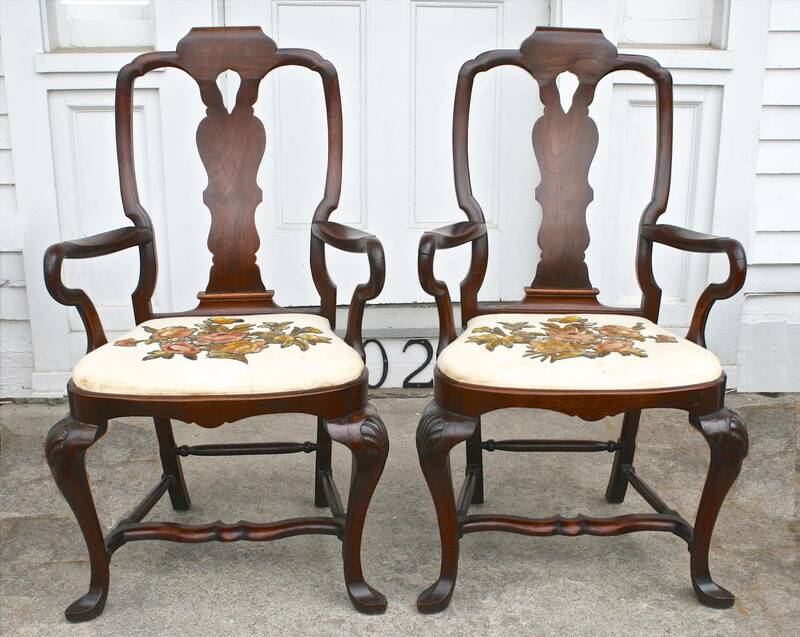 Drop in seats are upholstered in a luxurious red and blue striped damask fabric.